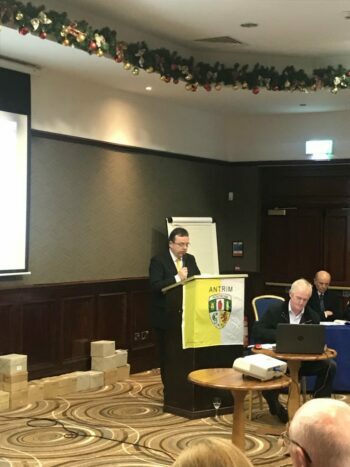 We are committed to developing a new 3 year strategic plan ,chaired by Pol O Brien for the period 2019 to 2021, due to be circulated to the clubs in the early part of January. 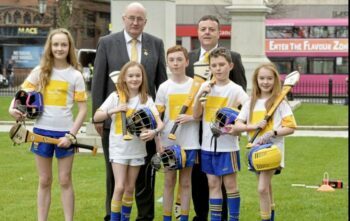 As our various committee reports have been circulated, I think we would all agree,We have a vibrant County with volunteers committed to developing our games in all codes in conjunction with our culture. 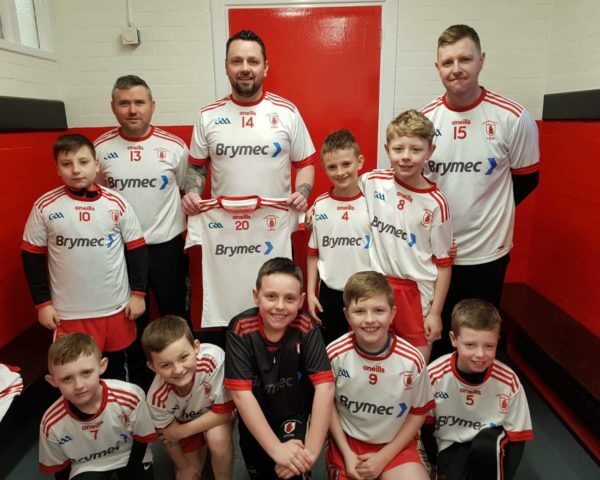 Our Coaching and games development team has had the timely boost of our Gaelfast programme and this can surely give us much needed additional resourse to promote gaelic games throughout the County. Much debate with Liam and his colleagues on development squads has happened over this last year and perhaps a re think on this current model is required. Our Cul Camps once again were as popular as ever and our coaching staff deserve great credit for delivering this ever growing programme on n annual basis. Paul in his report has informed us of the progress our clubs are making with various infrastructure improvements,and great credit must be given to Portglenone,Davitts and Sarsfields but to name a few. Safe Guarding (child protection) is increasingly a bigger challenge and I would like to thank Barney for his professional and private approach he takes in this role. I would encourage and advise all our club officers to spend time on this area as social media in the modern world can catch us off guard at anytime. Our CCC committee got through a tremendous amount of work in 2018 ,with numerous challenges along the way and work has already begun to look at our fixture schedule. We must change, the current format that perhaps served us well in times past is not working ,we need to be brave in this area, I believe an all county board would go in someway to helping that,with representation from all parts of our county. Once we solve the dual club issue , we would be a fair bit along the road to a better model. I would like to thank Owen and his team for their work in the year past. 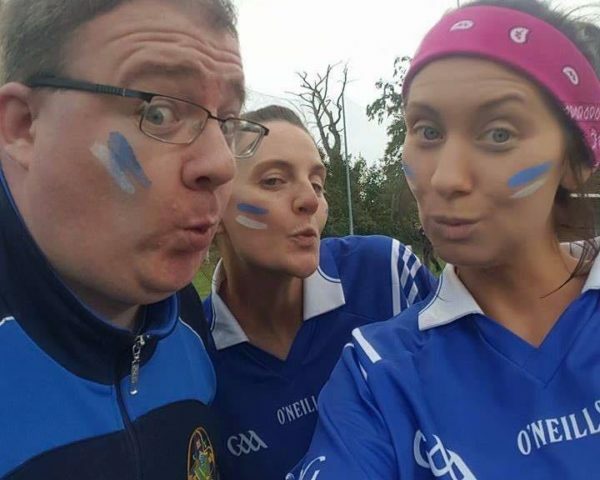 THE GAA DONT HAVE THE STOMACH TO DOUSE THE FLAMES OF TRIBAL FIRE, a pretty damning statement. I would implore all club officers to stand up and make the hard calls before one of these blows results in a fatality. Circling the wagons when a club needs leadership is not the answer and really only serves to damn the clubs credibility. Our relationship with the press I believed has greatly improved,and that,s sometimes not easy,We have been courteous and fair in our dealings , especially with our players, giving them a platform that their efforts deserve and Sean in that area has carried out his work in a professional manner. We have also managed to keep in our thoughts those less fortunate than ourselves with our Saffron aid appeal and the successful run for Anto, an Antrim man who demonstrates resolve and character ,we could only aspire to. Congratulations to all our County Winners in particular Cushendall who went on to win the Ulster hurling title and to Cargin our football winners who came up a little short against the eventual winners Gaoith Doire. At Intermediate level St .Endas made history on Saturday night past when defeating Mullahoran from Cavan to win the Ulster Intermediate football title and considering the road the Hightown road men have travelled ,it was a wonderful occasion to witness. 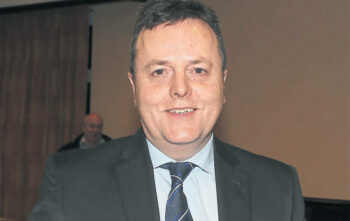 I was in the same class in St.Marys CBS with Gerry Devlin and my thoughts turned to Gerry on the final whistle. He lost his life along with other members from the club in those dangerous times of the late 70,s erly 80,s, because he was a member of the Gaelic Atheltic association,He would have been so proud of all the St .Endas people who kept the club going through those dark days. Rest in peace Gerry. 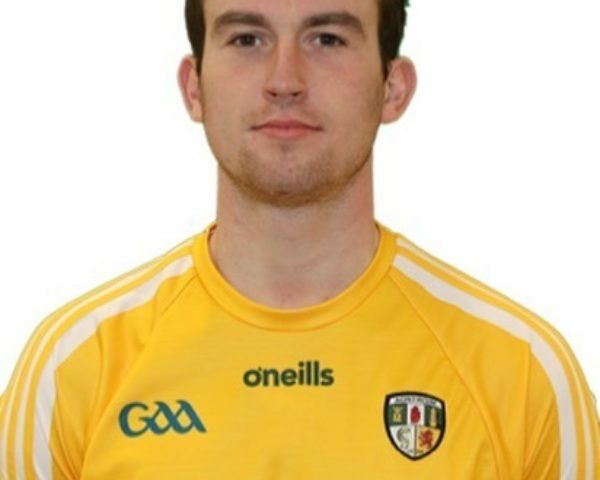 Our Senior county teams had mixed seasons, Lenny in his first year took a while to get to grips with life as a county manager and like the rest of us would have been disappointed with our Saturday night in Newry against Down. I wish him every success in the year ahead. Our hurlers give us some great moments,running Galway to a couple of points in Pearse Stadium,losing to the Dubs in Corrigan by a point and defeating Carlow the eventual winners of the Joe Mc Donagh cup, a season that could have been so much different. I would like to thank Sambo and Woody for their efforts over the past 2.5 years,Antrim men to the core. To all our sponsors and particulary Creagh, once again ,thank you for your support. Our business forum under Tonys leadership has once again delivered crucial funding to support our games and youth.To see over 500 people gathered and Henry Shefflin as our special guest was another example of the goodwill that we have as a county from a broad base business sector. VISION REQUIRED TO SAVE SAFFRONS, In the article it made reference to the great Dublin manager Kevin Heffernon, In his opening Salvo he stated that all management must begin with a vision,the vision is everything,without a vision there is no shape purpose or direction and the project is doomed. The article went on to conclude,while Antrim are lying in the gutter,It seems that no one wants to reach for the stars, Well I believe that is not the case in Antrim. I think Collectively as a team this last 3 years we have managed to put better governance in place, attracted the right skill set to our sub Committees and most importantly we have improved the Antrim brand. It was a team effort from all those who served on management over that period, of course we always didn’t agree,thats normal but for the most part we made our decisions in the interest of improving our County, We are only a bit up the mountain going in the right direction, it s now the job of our incoming officers to thake the batten and push on in a collective way. We have brilliant volunteers throughout our County, I have seen it at first hand in every club I was in contact with, It is our duty as Gaels to leave our Clubs and Our County in a better place than we found it , I hope we have Suceeded in that. I would like to take this opportunity to thank Frankie, Paul and Terry for supporting me throughout my time in office, with their experience,time and integrity. It has been a year tinged with sadness, my Father passing away a few weeks back, I would like on behalf of our family to thank the GAA Community for all your support at that time. He was a GAA man who loved his club and County St.Johns and Antrim and always taught me to respect people in all walks of life,that advice has served me well. I always accepted this role as County Chairman as a great Honour that was entrusted to me . I,d like to thank Roisin and our 4 children Danielle,Andrew,Mollie and Callumfor supporting me every step of the way.